The Food and Drug Administration is holding a public meeting: “FDA Food Safety Modernization Act: Title III—A New Paradigm for Importers” to provide an opportunity to discuss implementation of the import safety provisions of the recently enacted FDA Food Safety Modernization Act (FSMA). 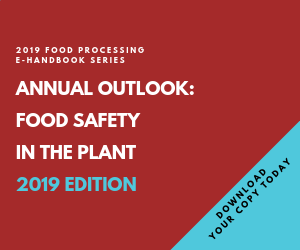 According to the Federal Register, the FDA is seeking information on importer verification, the Voluntary Qualified Importer Program, import certifications for food, and third-party accreditation. In a separate notice published elsewhere in the Federal Register, the FDA announced a public hearing which will provide stakeholders the opportunity to discuss FDA's use of international comparability assessments to enhance the safety of imported foods as well as animal feed and lessons learned through equivalence determinations. The hearing will include a separate discussion of FDA's efforts to gather information from regulators in other countries regarding the regulatory policies, practices, and programs they currently use to ensure the safety of foods and animal feed imported into their countries. If you wish to attend and/or present at the meeting scheduled for March 29, 2011, please register by e-mail to http://www.blsmeetings.net/FDAImportSafety by March 22, 2011.